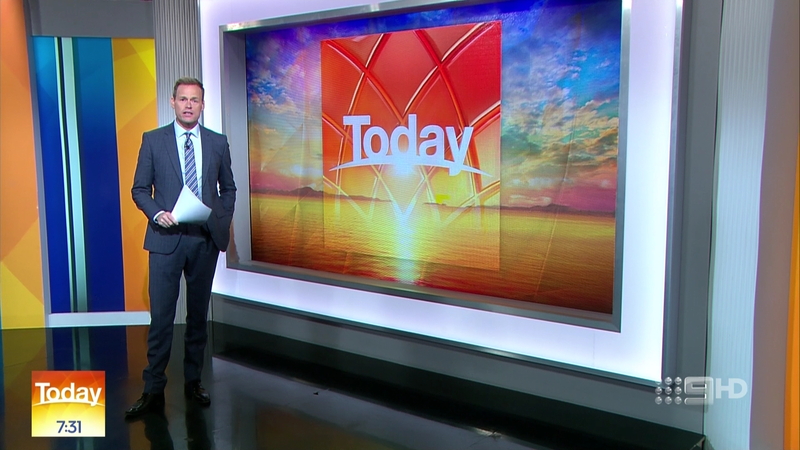 The Australian version of The Today Show has refreshed (again). 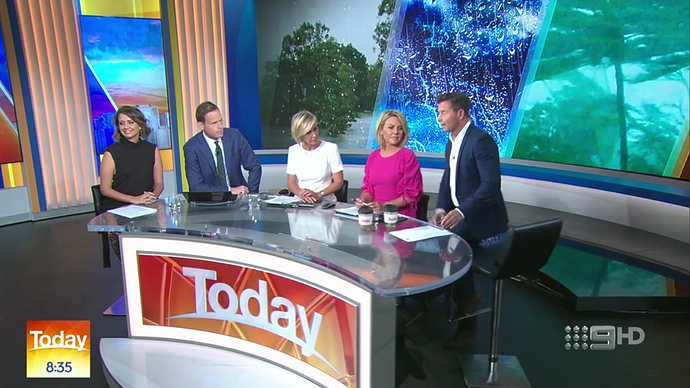 A couple of weeks ago they announced that Karl Stefanovic wouldn't be returning to the show and announced a new lune up of Georgie Gardner, Deborah Knight and Tom Steinfort. Public reception wasn't great with Sylvia Jefferies and Tim Gilbert being axed despite being popular. 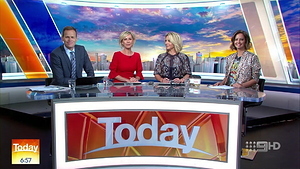 It means the show's line up has completely changed since a year ago when Lisa Wilkinson was dropped. The new show and graphics launched today (or is it tomorrow?!) with the show coming from the US open potentially leaving the studio for a refresh. 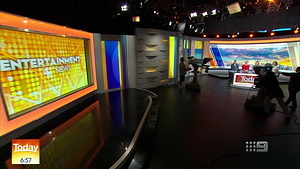 The studio has been the same layout since the 2012 refresh with a slight spruce up and a new desk a couple of years ago. Notably the same theme tune. I don't know why they insist on keeping the 9 logo in such an awkward place! Would be interested to know what you all think! Any update on the new look and set? They're still coming from Melbourne so I imagine it'll be next week before we see any new set. I didn't realise thank you for the update. Unfortunately no new set despite them being at the AUS Open for a fortnight. They've installed a new desk with a screen front (10/10 for creativity there) and the background has changed slightly on the video walls. Seems like a wasted opportunity to update what is effectively a 7 year old set when it's been out of use for 2 weeks. These are from our Aussie counterpart, Media Spy, and are not my own. It’s a dark set, isn’t it? That or they don’t see the point in lighting up areas that aren’t used/seen often. 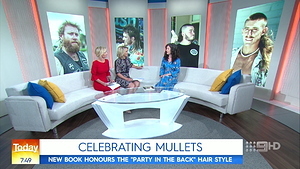 With the dropping viewer numbers in Australia I would have thought that they could do with all the viewers they can get!